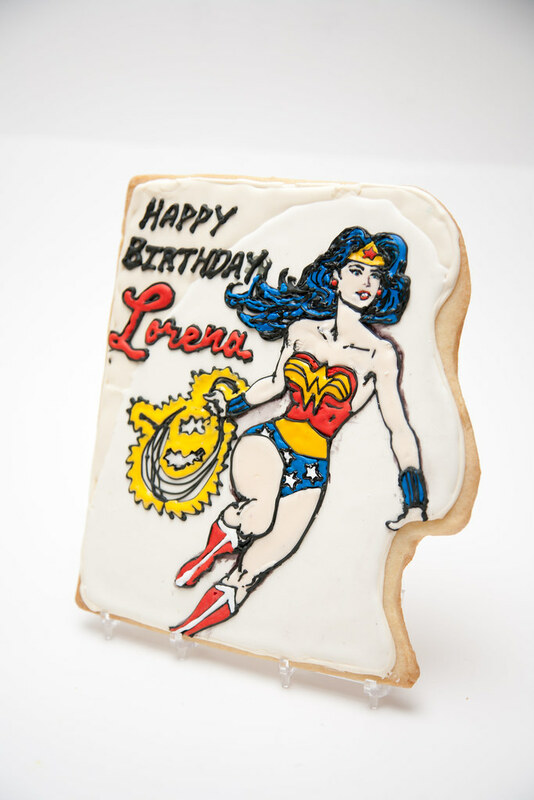 My neighbor/landlord asked me if I could make a little something for his wife Lorena's birthday, which was the next day... :) I didn't have time for a cake, but I agreed on doing one cookie. One giant cookie. He asked if there was any chance I could do Wonder Woman because Lorena has been obsessed with her since she was a little girl. I was so in. I had to restrain myself from dropping everything I was doing to work on it. I had to focus on finishing another cookie order first, then I got to work. 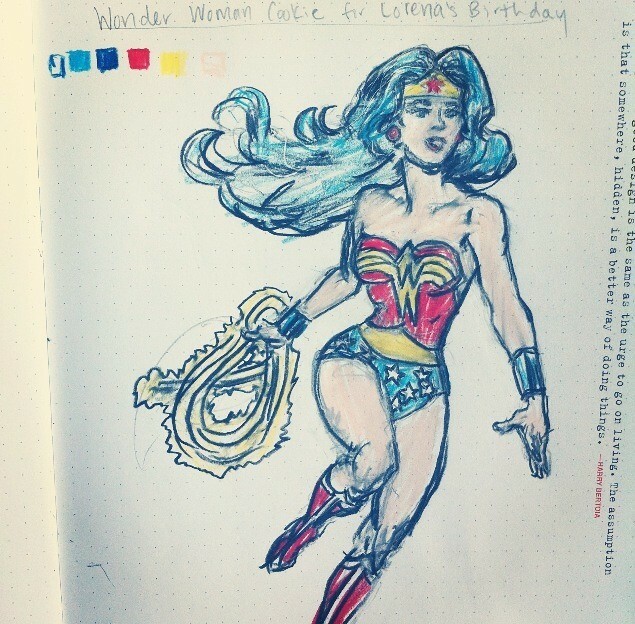 I found a picture of 1970s wonder woman (no new age stuff) that I wanted to copy. First I sketched it, just to warm up my hand. 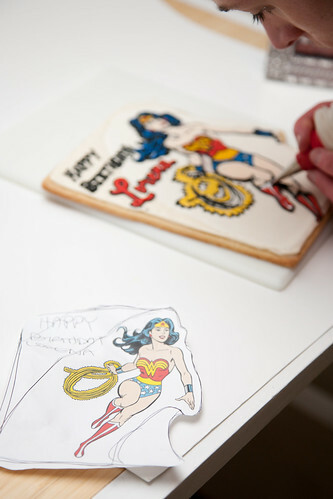 I re-drew it on the cookie with a paintbrush and food coloring "watercolor" then I piped over it. I was so happy with how it came out! 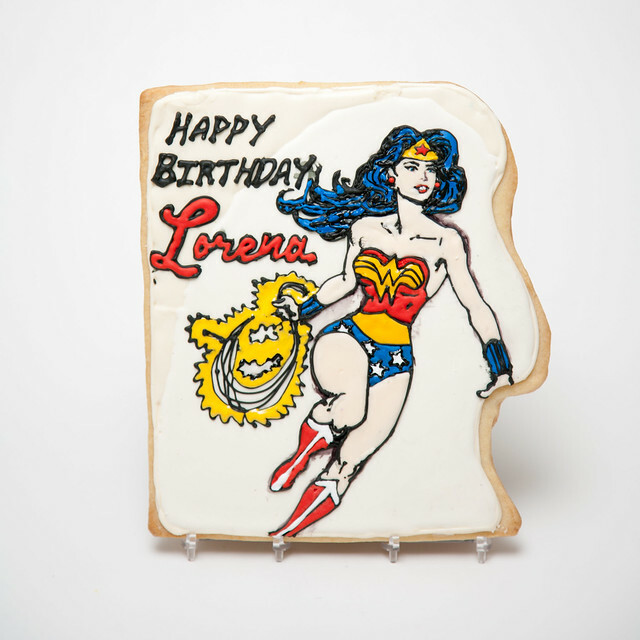 It was just really fun to do a big cookie like this. My favorite part that I decided to add was the comic like font. 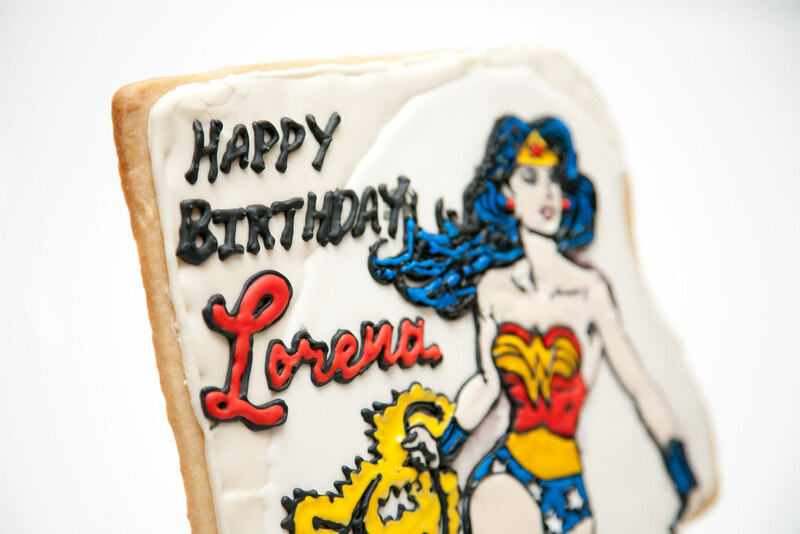 I also used the wonder woman logo as inspiration for how I wrote out Lorena. PS - This was the largest sugar cookie I've ever baked. It's around the size of an iPad. When Pete and the fam all were out for Lorena's birthday dinner, we snuck up and put the cookie on a cake stand and I added a candle propped in a little fondant star for good measure. 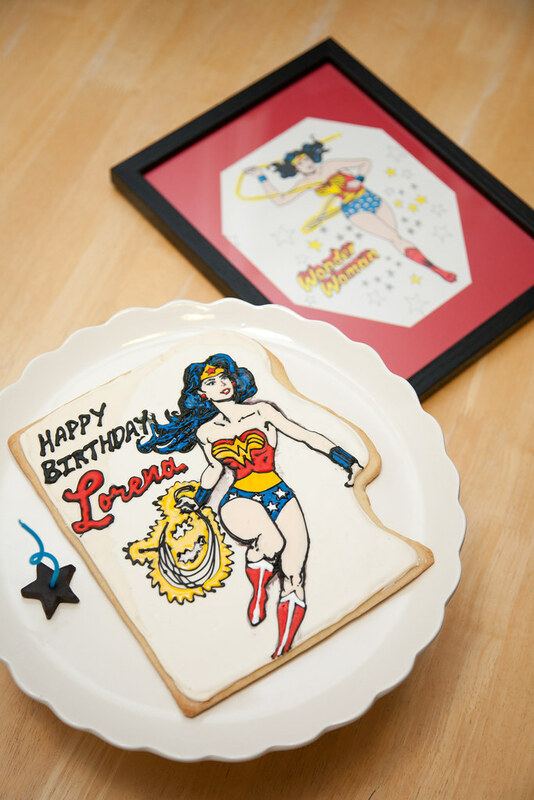 The cookie is photographed here with a framed photo of wonder woman that hangs in Lorena's kitchen. It's actually a piece of vintage wallpaper.